Clinton Green is an Australian artist who has worked at the fringes of music and noise since the early 1990s. He has worked with new approaches to electric guitar (recording and performing under the moniker of Undecisive God), modification/hacking of turntables as dynamic generators of random sonic materials, and in various forms of free improvisation. He is also a published writer with a focus on the history of experimental music in Australia. 默契 - Chun-liang Liu and Clinton Green are artists working together with dance, music, movement and sound. 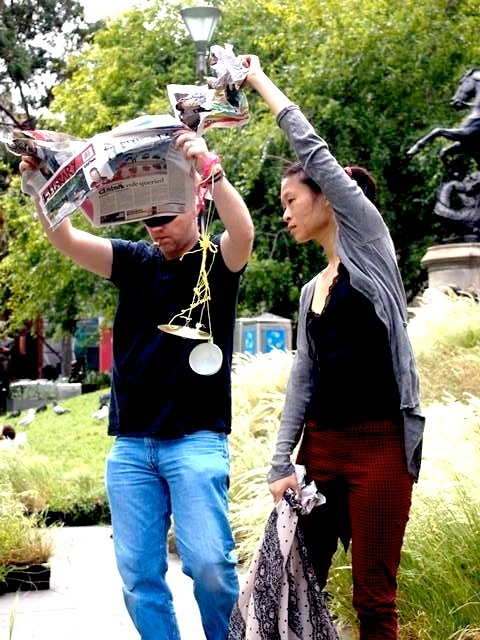 Their performances, often unofficial and in public spaces, seek engagement and interaction with audiences and passersby. 默契describes their connection in performance.